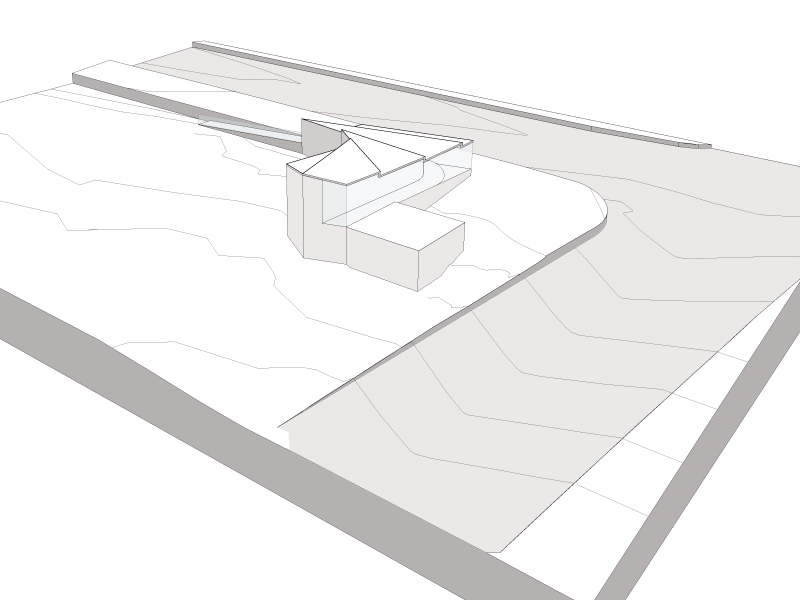 The geometry of Veterans Fieldhouse is governed by the site topography, available area, and accessibility guidelines. The strategy sought to take advantage of the site restrictions-considering them as formative elements in the development of the scheme. The plan extends an existing handicap ramp, wrapping the sloped walk around the partially bermed facility. By taking advantage of the steep topography, this ramp terminates a full story above the first floor while ensuring a completely barrier free complex. The building’s orientation and geometry allow it to capture and store rainwater within a centralized cistern, leaving little to no need to draw water from the utility. Clerestory windows take advantage of the Southern exposure and allow light to penetrate deep into the spaces. The building attempts to knit itself into it's surroundings through the use of native planting, green walls, green roof and trellis. Design cues drew from the various fencing types at the site and re purposed them into a patterned screen. 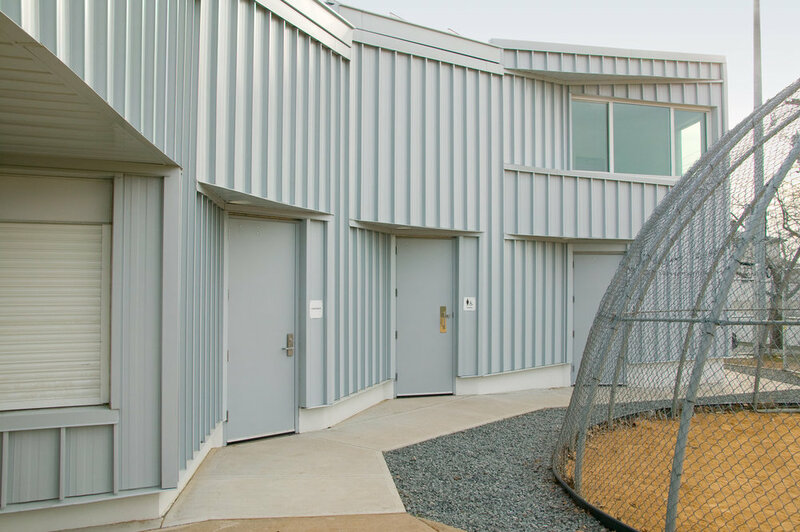 While a means of securing the facility, the screen projects an animated and approachable facade to the community.